Troubled waters can often bring out the best in a sailor. As adversities of giant proportions loom, a good sailor might find renewed strength to change course and make it to dry land. However, it’s not always easy to give up on conventional wisdom no matter how much it may have failed to remain relevant with changing times.Ai? ?And thatAi? ?is the biggest obstacle in a battle against the odds.Ai? ?To admit that knowledge and the wisdom of the ages have failedAi? ?and that change is necessary isAi? ?easier said than done; this is precisely where AC Milan are finding things more difficult than ever to deal with. Adriano Galliani has, very mildly put, been the face of this club nearly for three decades now and he has honorably held severalAi? ?important positions.Ai? ?Presently the Vice President and CEO, not only does he sit next only to Silvio Berlusconi on the board, he is also the man who takes the calls on most matters that concern the well-being of the club. But recentAi? ?seasons have showed his methodsAi? ?have perhaps failed to keep up with the ever changingAi? 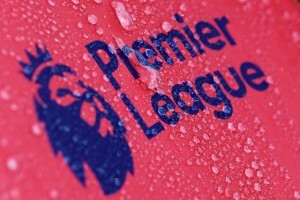 ?world of football business. This has ledAi? ?many to believe Milan need a younger, fresher and more motivated individual in charge of the club’s operations at this stage. President’s daughter Barbara Berlusconi has been on the board for a while now but as she takes the final few steps to assume a relatively importantAi? ?board position, the debate on Galliani’s future has greatly intensified. TheAi? ?drama that unfolded during the past week saw Galliani go public with his ‘hurt’ sentiments and in a matter of anotherAi? ?24 hours, Berlusconi was at his diplomatic best, putting the situation to rest at least temporarily. How things pan out in the months to come, remains anyone’s guess but to provide a deeper insight andAi? ?a thorough understanding of the entire episode,Ai? ?THT residentAi? ?Serie A editor Parth Pandya catches up with two of the more prominent voices online, concerning Italian Football. David Swan, our first guest today is a writer for Football Italia – a very well respected online publication covering the length and breadth of Calcio. David has in the past also contributed to the magazine ‘Soccer Italia’. Apart from that, he happens to be the brain behind acmilanfinance.com. David tweets here. Sam Lewis, our second guest on the board represents a fairly younger generation of Milan followers. Sam is yet another prolific writer, known for his romanticized take on the beautiful game. Sam is the deputy editor at Forza Italian Football. You might want to catch up with him on Twitter. Our discussion today along with the two guests border on whether Galliani has indeed run out of gas and to what extent he needs to be held accountable for the current quagmire. We hear from David first. The situation with Galliani – the fact that he is now being scrutinized and targeted – is to me a sign that people inside the club, and the fans outside, are realising that simply changing coach isn’t going to solve the team’s problems overnight. Barbara Berlusconi – who seems to have been the catalyst for much of the pressure on Galliani – is no mug. Regardless of whether she wants Allegri out, you can see she knows that removing him is pointless if things stay the same at board level. Galliani is the public face of everything off the pitch – he’s there announcing the transfers, he’s present when Milan announce new contracts with media partners – and he receives a lot of praise when things go smoothly that it’s only just that he receives criticism when that aspect of Milan doesn’t function as well. He hasn’t helped himself with some of his declarations to the media, particularly this summer. You can’t talk about a project for the future built on youth, proudly announce two members of the Primavera will join the first team, and then sign a 31-year-old trequartista as the highest paid player and a 29-year-old striker for ai??i??11m. That Matri signing in particular seems to have contributed more than anything else to Galliani’s current predicament, probably because it’s one of the more costly purchases Milan have made over the last couple of years, and at a time when the club has little to spend. He deserves all the criticism he gets for that – it was/is a monumental waste of money, and on a player in a role that was already well stocked. The truth is that his signings have been hit and miss for a few years now, but you can accept what has gone before because, relatively speaking, they haven’t been all that expensive. If Urby Emanuelson isn’t very good, you can brush that off because he only cost ai??i? ?2m or so. In that respect it’s easier to gloss over a failed acquisition when the outlay, in today’s market, is reasonably low. It’s harder to accept when it’s ai??i? ?11m, and it’s made people sit up and scrutinise his work. What baffles me is that nobody has questioned Ariedo Braida. Nobody. It’s as if people have forgotten that it’s Braida who was the sporting directorAi??andAi? ?not Galliani. You look at most other clubs in Serie A, it’s the sporting director in the middle of transfer policy. They’re even more important when you have a club with no money, and I think this has been the biggest issue. At a time when Milan need their director of sport to come up with some cheap gems, Braida has gone missing. But instead of blaming him, everyone points the finger at Galliani when the signings fail. Fair enough to an extent given his prominent role, but it would be the equivalent of Roma fans blaming Italo Zanzi whenever they sign a poor player, instead of Walter Sabatini. Or Juve fans pointing the finger at Aldo Mazzia instead of Beppe Marotta. It’s fine to give Galliani his share, but at some point people have to start looking past the public face. It’s for that reason that I don’t believe removing Galliani is the answer. Nor is overhauling 20+ years of management experience on a whim. He needs help – an active sporting director would be a good start. Braida’s resignation is a step in the right direction, as hopefully he can now be replaced with someone who can do the job properly. Barbara joining the team is a decent move too – I like what she’s said in her interviews over the last three years. She has modern ideas for a club that’s about 10 years behind the elite and that needs to modernise. She’s sharp – and although her targeting of Galliani wasn’t particularly clever, it shows she can see the bigger picture and the alterations that need to be made to compete at the top level. Sam too was pretty eloquent in articulating his thoughts. The whole situation smacks of a club that wants to rebuild, knows that there are changes needed to be made but don’t quite know which ones to make or to what extent(or how drastic) they need to be. As far as I’m concerned, the whole club – from Berlusconi down to the players – aren’t doing their job properly. The stadium issues (in as far as not owning their own) and the legal fees and nearly ai??i? ?500m Fininvest money that was haemorrhaged is on Silvio Berlusconi. The players that Adriano Galliani have bought in are not of the quality that was needed to rebuild from the mass exodus that took place in 2012 and the ai??i? ?10m spent on Alessandro Matri (a player Milan could’ve kept for free when he was in Rossoneri’s youth set up) highlights a transfer strategy that doesn’t befit a club of Milan’s stature and is brought into even sharper focus when Juventus managed to pick up Fernando Llorente for free, Carlos Tevez for ai??i? ?10m as well as Paul Pogba for nothing. The players aren’t performing at a level that is equal to their wage packets nor the shirt on their back. Only Kakaai??i? ?, fittingly the only remaining link to Milanai??i? ?s last great team, seem to be aware of the importance of effort, pride and intensity. People talk about the obvious losses of superstars like Zlatan Ibrahimovic and Thiago Silva, but the void in leadership in a locker room without the heroic characters that defined it in previous generations has been just as telling. Think Gennaro Gattuso, Paolo Maldini and Massimo Ambrosini wouldai??i? ?ve accepted Kevin Constant posting a picture of himself on Twitter in a nightclub before a match? Is it any coincidence that neither one of those guys have Twitter? I doubt Gattuso even knows what Twitter is. In terms of Gallianiai??i? ?s personal responsibility, I think he has been culpable of a little complacency in the last few years. After neglecting to truly rebuild the team after itai??i? 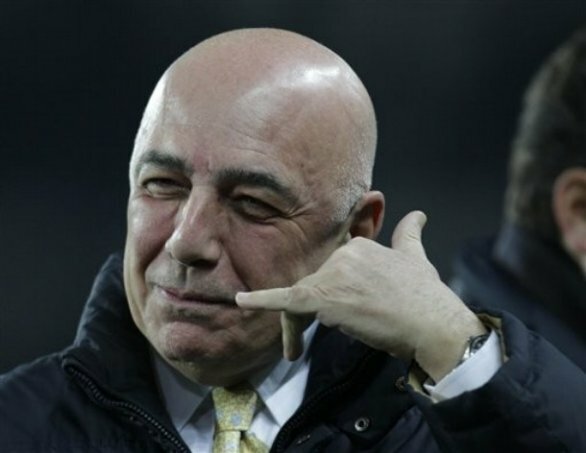 ?s Champions League triumph in 2007 (instead he rewarded players with gigantic contracts and bought in Ronaldinho and David Beckham), Galliani has essentially made stop gap transfers since, relying on the core of the team to maintain results. Then, he got rid of it all at once and seemed to hope for the best. Deciding to deny Andrea Pirlo a contract longer than a year because they had just won the Scudetto with the then 34-year-old Mark Van Bommel in front of the defence is kind of Galliani in a nutshell. He recognised that the team needed to get younger; he just went about it in the wrong way. So perhaps bringing new management and new ideas (even if it now might not happen) maybe wouldnai??i? ?t be such a bad idea. This sure isnai??i? ?t the same Milan anymore. I believe the biggest concern for Milan at present is the lack of clarity and distinction in roles and responsibilities of several individuals holding important positions. It is indeed very hard to define Galliani’s job description. He is the face behind almost everything that happens off the pitch. With his wealth of experience and enormous influence in the market, he prefers being in the thick of things during every single big negotiation of a coveted player. Club’s finances, sponsorships and operations quite visibly fall under the purview of Galliani. He also reserves a very prominent say in the appointment and retention of coaches and is definitely the most trusted if not the only voice Berlusconi has preferred to listen to. This inevitably looks like there are far too many eggs in one basket. Decentralization of power is something Milan have to introduce sooner rather than later. Should Braida’s ouster trigger an overhaul and should Galliani still be a part of the ‘new’ Milan, then his new role will demand much more clarity and specificity. Should Galliani be at the helm of club’s operations and finances, his role in transfers must not extend than allocating the necessary funds. If the situation demands it, his mentorship could definitely be of great help but that would be where it ideally ends. Barbara Berlusconi has certainly brought in some fresh ideas on the table and they do merit an ear from those who genuinely care for this club. She may not have come across as someone who truly admires Galliani but her admiration for Milan is more important than anything or anyone else at the moment. Galliani has indeed had his time and make no mistake, Milan owe him a fortune. But certainly not at the cost of another fortune.